Although whiplash can develop as a result of incidents like a sport-related injury, a majority of cases arise from a car accident. 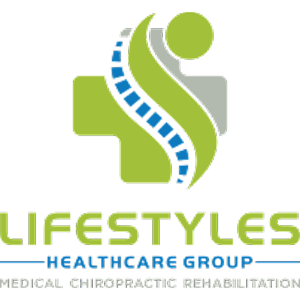 Dr. Darin Stokke of Lifestyles Healthcare Group in Fort Myers, Florida offers noninvasive chiropractic treatments such as a spinal alignment that work no matter how the whiplash occurred. You don’t need to suffer pain in addition to the stress of the incident itself, and you also don’t need a medication that merely stops the pain and comes with adverse side effects. To learn more, call or schedule an appointment online today. Whiplash is a neck injury caused by a force propelling the neck forward and then backward rapidly. It occurs most often from rear-end collisions, but sports accidents, physical abuse, horseback riding accidents, and other forms of trauma can cause it, too. Symptoms of whiplash can occur immediately after the incident, but might not appear for several days. Whiplash causes neck pain that worsens when you move, as well as a loss of range of motion in your neck. Tenderness in your shoulder or upper arms may occur. Stiffness, headaches, fatigue, dizziness, and sleep disturbances are also possible. How does a chiropractor diagnose whiplash? Seeing Dr. Stokke immediately after an accident leads to the best prognosis, especially if you have any signs of whiplash. He can perform diagnostic tests as a precautionary measure after an accident or to confirm a diagnosis. The initial step of the diagnostic process consists of Dr. Stokke visually examining your neck, head, and arms. He’ll need to move your neck, and ask you to move your neck and arms in various positions. Dr. Stokke performs diagnostic imaging such as X-rays, CT scans, or MRIs. By using one or more of these tests, he’s able to see the tissue and bones of the neck to evaluate them for damage. Dr. Stokke uses chiropractic alignment techniques that focus on the neck and upper back. He moves the vertebrae to align with each other and the discs. Dr. Stokke also offers physical therapy to relieve your pain and promote healing, which consists of him and his team of rehabilitation experts guiding you through exercises that gradually increase in difficulty to increase your range of motion and strengthen your neck. He may recommend massage therapy or other treatments to complement exercise and adjustments. Even with treatment, it can take several months to heal. Very few men or women experience symptoms that last longer than that, although it’s possible for whiplash symptoms to last for a year or longer. Lifestyle Chiropractic is fully equipped with the latest technology. So start recovering from whiplash today with the help of Dr. Stokke by calling or scheduling an appointment online.